Western Digital (WD) has always been No. 2 in the world after Samsung when it came to high-speed SSDs. But that bridge is closing rapidly especially after WD has launched its “Black NVMe” series SSDs. These SSDs are claimed to be at par in performance with the Samsung EVO series. We were fortunate to get our hands on the WD Black PCIe 512 GB SSD. Therefore, we can now actually tell you if this claim holds true. SSDs are known for their extremely high read-write speeds, and PCIe-express SSDs are even faster. The boot time of our system went from over 30 secs to around 10 secs. We also experienced faster load times of different games and software. The overall performance of the system was enhanced just by the addition of this SSD. Then, we started running benchmark tools on the WD Black NVMe 512 GB PCIe SSD and below are the results of those tests. 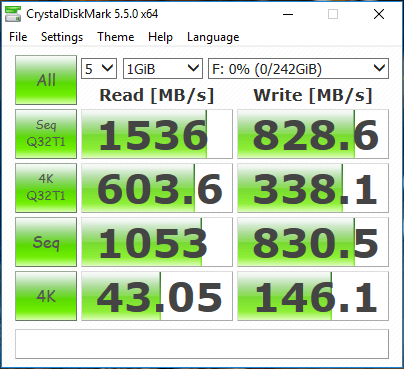 As you can see from Crystal Disk Mark test, the SSD has an incredible sequential read and write speeds but gets a bit slower on read speeds when random data is transferred and has an extremely slow write speeds for the same. This is quite evident in the other two benchmark tools tests as well. You can see those numbers below. You can see that AS SSD Benchmark shows relatively low read-write speeds compared to other benchmarking tools. 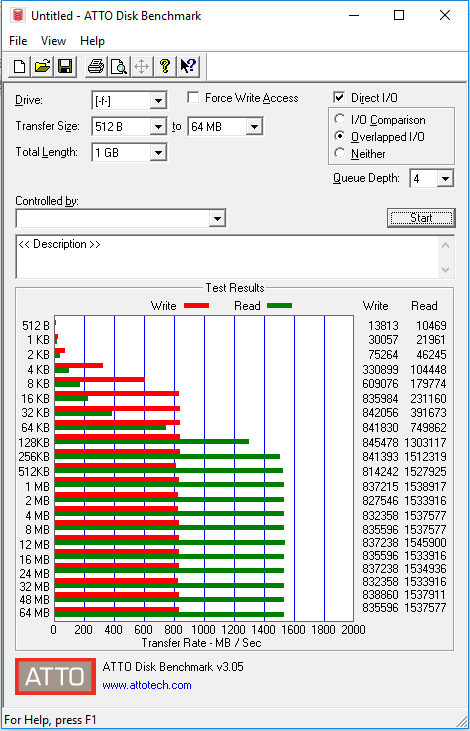 Whereas, the ATTO Disk Benchmark tool shows incredible read-write speeds in its test. Therefore, as two of the three benchmarking tools are showing incredible results, we can safely go with those numbers. Even though the performance of the SSD is hampered during random read-write speeds, it has still impressed us with its sequential read-write speeds. The sequential write speed of this SSD is the fastest we have seen till date. This is a great SSD for the gamers as well as professionals. The WD Black NVMe SSDs are based on the SanDisk’s 15nm TLC NAND flash. The TLC NAND technology helps WD to bring high-end SSDs in the mainstream market at affordable prices. But there is a high possibility that the WD Black SSDs may be a short-lived product in the market. This is because they will be soon replaced by the 3D NAND. All the four major NAND manufacturers are planning to ship TLC parts equipped with 64+ layer 3D NAND by the end of this year. This will reduce the NAND shortage and also improve the performance of the SSDs and bring their prices further down. WD offers a 5-year limited warranty on their Black NVMe SSDs. This is a great offer and the consumer won’t have to think much before investing in this SSD. All the SSDs are WD F.I.T. lab certified. Currently, only the WD Black 256GB PCIe NVMe SSD is available on Amazon.in at Rs 8,231 which is slightly lesser than Samsung’s 250 GB SSD. In fact, all the WD Black SSDs of different capacities are priced competitively with Samsung’s counterparts. Therefore, WD is offering better speeds at affordable rates. 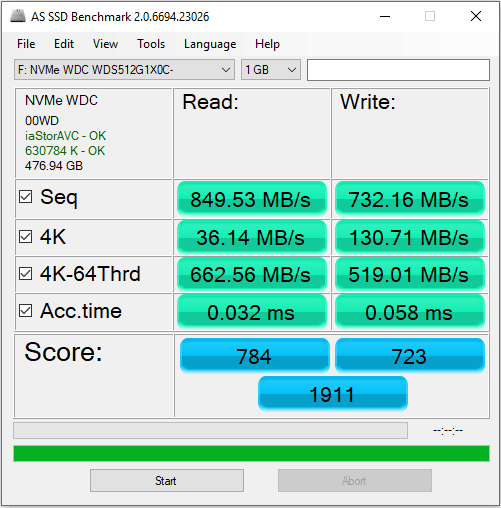 The WD Black PCIe NVMe SSD has impressed us with its never before seen sequential write speeds. The SSD performs slightly better than the Samsung 970 EVO which is the king of SSDs. At an MRP of Rs 21,500 (the actual retail price will be significantly lower) for the 512 GB SSD, WD has managed to deliver a great product at an affordable price. If you are looking for an incredibly fast SSD at a relatively affordable price then the WD Black should definitely be your choice.